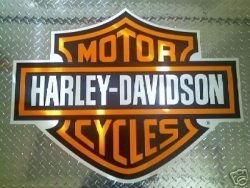 3 Pack : Huge Harley Decal and will make your trailer look AWESOME!! Free Shipping!! !, so order as many as you like! !